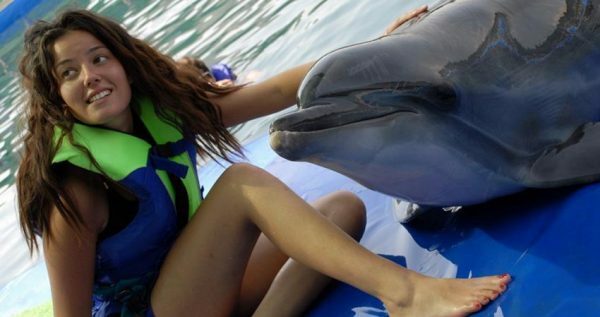 If you’re looking for a new and fun experience to have a better holiday this summer, Marmaris Meet with Dolphins Tour is just the thing you need. This great tour will make you a special one. 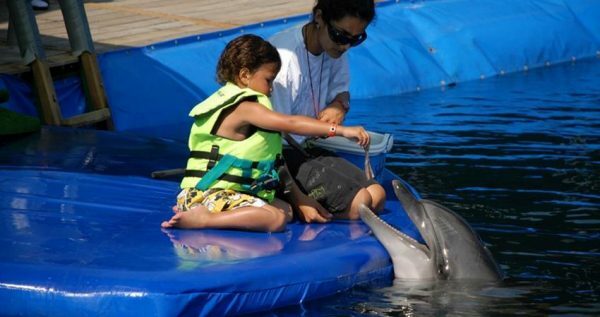 During our Marmaris Meet with Dolphins tour you will get the chance to touch the dolphins, kiss them and watch them do their dance. 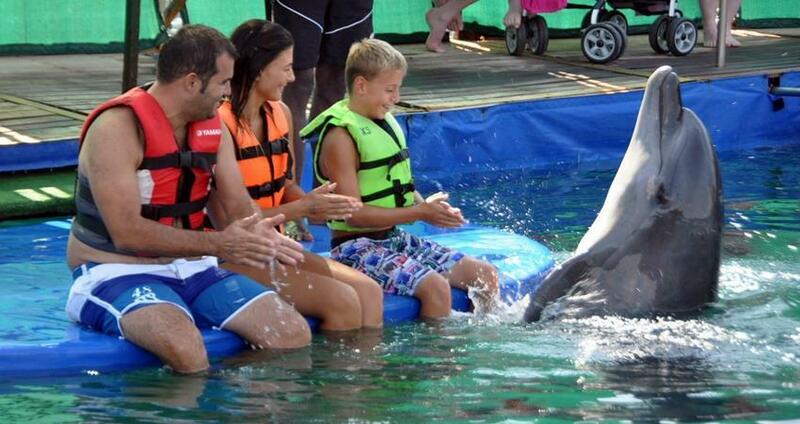 Our dolphin park is always open all summer season and you can visit it during your holiday. This program will give you the opportunity to sit poolside, and even touch the dolphins, without any fear. 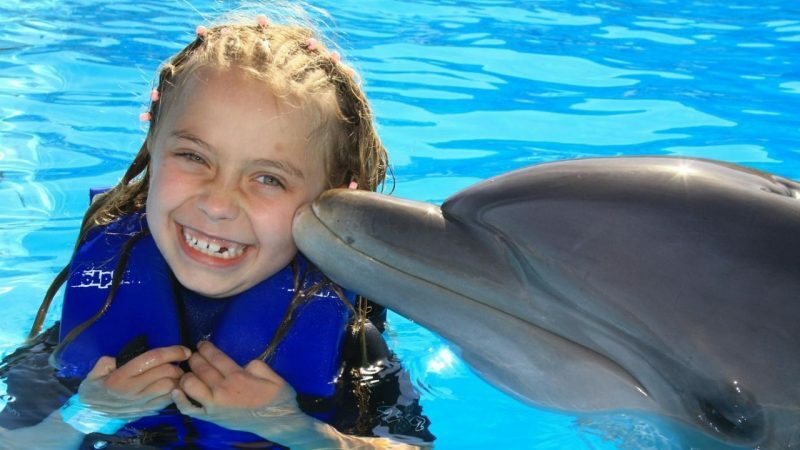 Dolphins are very friendly creatures, and they can’t wait to interact and play with you. You will feel like you are spending time with kids, because that’s how intelligent and playful they are. 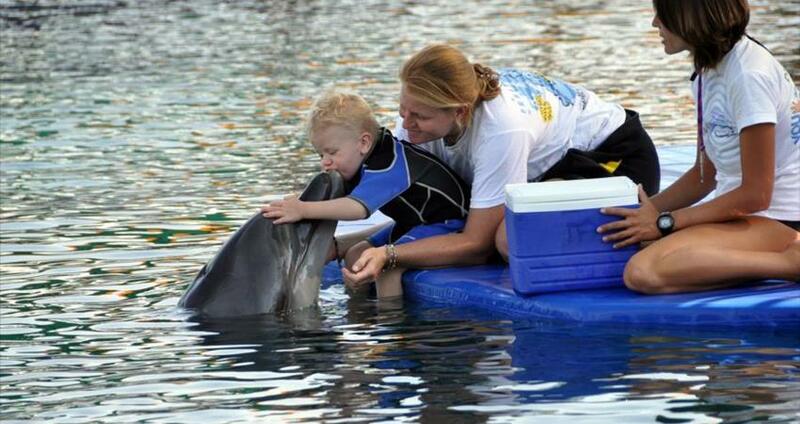 Each Meet the Dolphins session lasts around thirty minutes. There are some rules you should follow while being at the park. One of those rules is that you do not enter the pool if you have put your sun cream on because it will wash off in the water that the dolphins are swimming in. 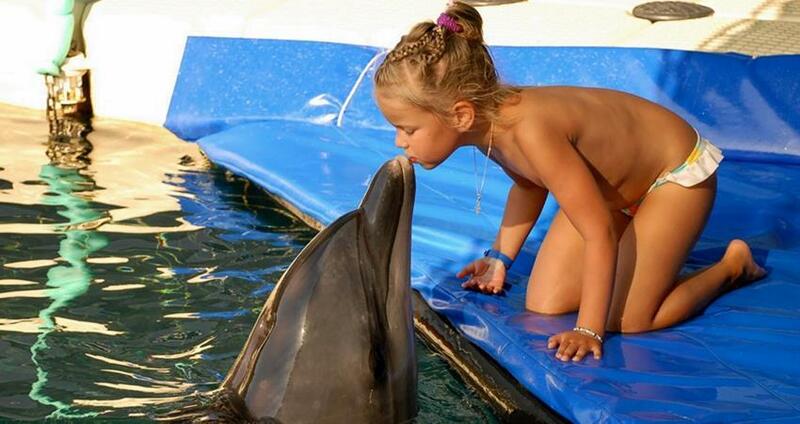 Also, if you have been drinking alcohol, you should avoid any contact with the dolphins as you may hurt them. We should note that children of all ages can enter the dolphin park, however children under the age of 3 aren’t allowed to participate in the activities with dolphins, because their own safety. This marvelous tour lasts around two hours which is more than enough time for you to meet these terrific creatures. 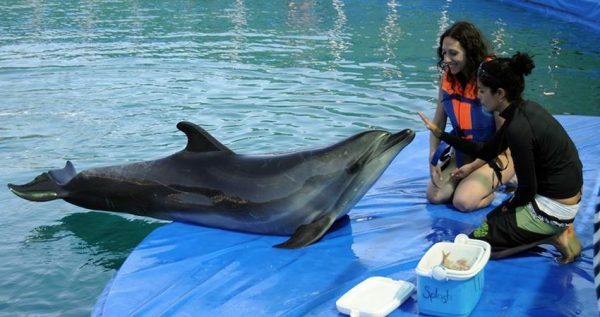 Complete package tour includes transfers from your hotel in Marmaris to dolphin park and back, as well as tickets for entering the park and Meet with Dolphins Marmaris itinerary. Marmaris Swim With Dolphins can be also another interesting option for you. 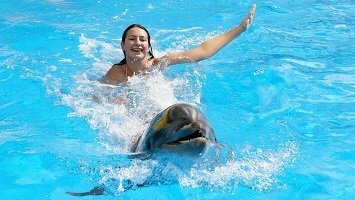 Marmaris Meet With Dolphins Tour starts with a free pick up from your hotel, followed by a short and cozy drive to the Dolphin Park. Excursion Mania offers 3 sessions, and you can choose your own preferred time to visit the park. The entry fee to the park is included in the tour price. Once you enter the park you will be welcomed by the Dolphin trainer who will tell you something about the rules and regulations which you will have to obey. For example, you mustn’t apply any sun creams and lotions on your skin prior to meeting the dolphins, and you should be gentle with them. The park has numerous changing rooms, where you can change into your swim suits, and you will also be provided with lifejackets for you own safety. 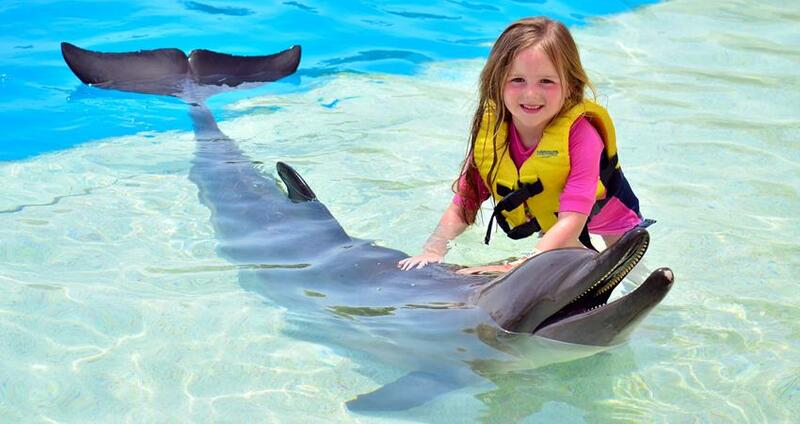 Once you are ready, you can meet the dolphins. 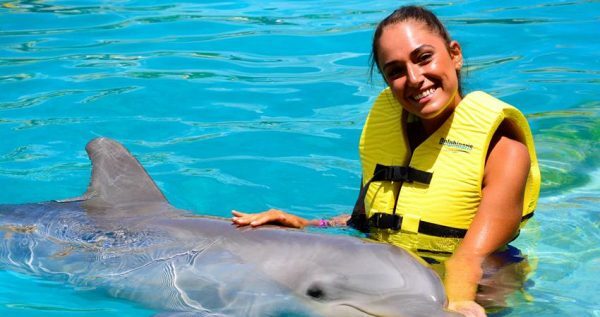 There are platforms next to the dolphin pool, so you can sit on them and interact with dolphins as our instructors tell you more about these amazing creatures. In the meantime, you will get to feed them, play with them and watch them do some tricks. This interaction lasts for 30 minutes. 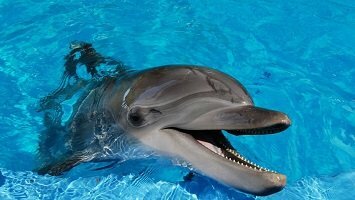 While you are busy meeting the dolphins, our professional photographer will be taking pictures and videos. Once the session is over, you will be able to buy a DVD with your adventure on it. 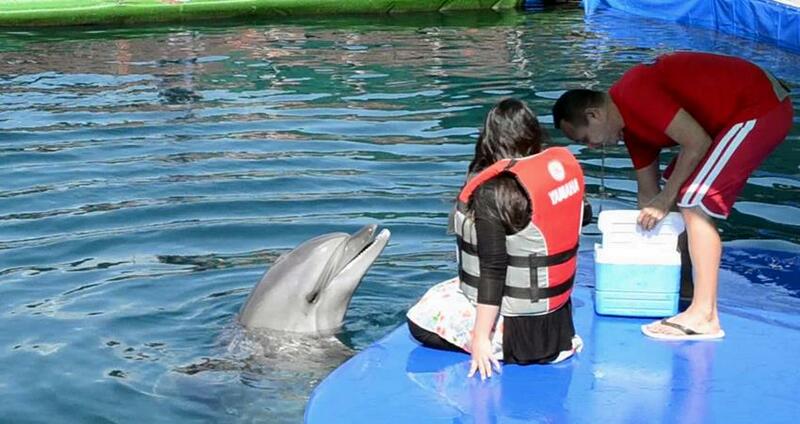 Once Marmaris Meet With Dolphins Tour is over, our driver will take you back to your hotel. This transfer is free of charge, as it is included in the tour price.